Canadians have no experience with the numerous options on a ballot that Americans face each November. When Canadians go to vote, it’s for one office and that’s it. In British Columbia, a person votes for City Council on mid-November Saturday every three years. For the provincial legislature (the equivalent of the statehouse), in BC we vote for one person on the second Tuesday in May every four years. For the federal Parliament (similar to Congress), Canadians vote for their one representative from their district every four years, sometimes a bit sooner if no one party controls the majority of seats. In Canada, the federal parliament has five parties in it, compared to the two parties in the US Congress. My wife Jodie Emery, and Jeremiah Vandermeer, editor of Cannabis Culture and Pot TV, will be at the New Approach Washington headquarters in Seattle on November 6th streaming live the results of the marijuana legalization initiative I-502 as they come in (as well as bringing in affiliates from Colorado and Oregon to broadcast the results of their state legalization votes). New Approach Washington (www.NewApproachWA.org) is the organization that has done all the work writing up this proposed legislation, getting the necessary 247,000 signatures of Washington voters to put it on the ballot, and have raised millions to promote the initiative on television and in other media. Be sure to go towww.CannabisCulture.com and www.Pot.tv for the livestream, and share the experience with thousands of others on that historic night! The Washington state initiative is polling a much wider margin of success than similar initiatives in Colorado and Oregon; I attribute this to a very prescient organization in Washington state. This is not an initiative that percolated from the cannabis community. I-502 was done by organizational professionals who largely are more interested in aspects of civil liberty, reducing the pernicious effects of prohibition, and putting forth a practical legislative proposal that takes into account the concerns of the conservative straight voter who is likely to show up on voting day. People who show up to vote are usually those with a long-term stake in the community, usually with children or family as concerns. 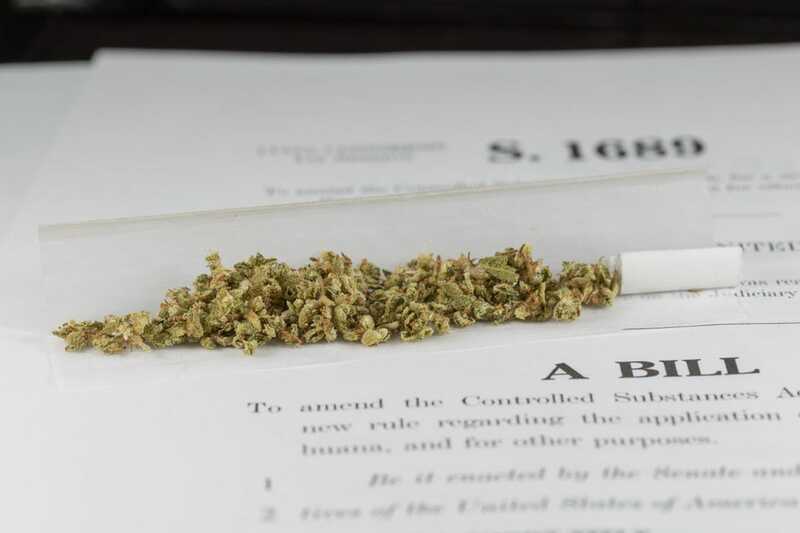 So when they are asked to legalize possession of marijuana, and these voters in the main don’t partake, they need to know that the community safety – and specifically, that of their family – is built into this kind of legislative proposal. New Approach Washington did just that. They raised and spent millions in advertising promoting that aspect of the legislation, and are being rewarded with the best polling results of the three legalization initiatives. I do hope the initiatives in Colorado (YES on Amendment 64!) and Oregon (YES on Measure 80!) pass too (check outwww.RegulateMarijuana.org andwww.Vote80.org). Mason Tvert, one of the principal forces behind the Proposition 64 in Colorado, with his group SAFER, has over a decade of tremendous work in Colorado, first getting a Denver initiative passed way back in 2007 – see more about that atwww.saferdenver.saferchoice.org. Colorado already is a medical marijuana state. Polling in Colorado suggests the vote will be close, but is winnable. Oregon is walking a tightrope, and lacks funding to promote the initiative there, but Paul Stanford has done a very admirable job gathering the signatures with his group to get the legalization question on the ballot there, and Russ Belville has been working hard promoting it too. These efforts will be in urgent need of your campaign dollars and your vote on Tuesday, November 6th. Perhaps the most important votes in the lifetime of anyone in the cannabis culture in those three states will be Tuesday, November 6th. Imagine your elation when you awake on Wednesday, November 7th, and marijuana possession is legal in your state – somewhere in your country! – and you helped make it happen! But don’t just dream it, you’ve got four weeks to make sure this dream becomes your reality! Definitely you should make contributions of money – even $10, $25, $50 – toMarijuana Policy Project, the Drug Policy Alliance, SAFER Colorado, New Approach Washington, the THC Foundation, and any organization making real political change happen. These are the people making history happen in America, and money is an essential lubricant of liberty. As for voting for President, I cannot say anything positive about Mitt Romney or Barack Obama. I disagree with everything Mitt Romney says he wants to do, and I disagree with everything Barack Obama has done. There is simply nothing to recommend either of them. Both are warmongers, both want to maintain the drug war, both believe in the surveillance state, state secrecy, the Imperial Presidency. They are both the complete opposite of Ron Paul, my hero, who I pray stays healthy and fit to run for President in 2016. As to Ron Paul’s son, Rand Paul, the US Senator from Kentucky is a shadow of his great father, and while Rand Paul is in some ways sympathetic to curtailing the excesses of the drug war (as in the case of mandatory minimums, to his credit), he is not the courageous man of perfect principle that his father is. Perhaps the greatest essay ever written on the colossal damage the drug war has done was recently published as a blog on the Seattle Post-Intelligencer by Vivian McPeak, the chief of the Seattle Hempfest. It’s poetic, brilliant, sobering and simply fantastic. I hope reading it – “Happy Birthday Prohibition – Now Die” – inspires you to give some money, your time, your vote and your involvement in the fight to end prohibition. These may be the most important weeks in the history of our movement, when your vote, your donations, and your voice promoting these initiatives makes a critical difference. It would sure make the 610 days I’ll have remaining in this US federal prison a great deal easier to bear on the morning of Wednesday, November 7th. That the torch of the cannabis culture I tried to carry for decades has been carried on by millions of Americans who will not be, and were not, deterred by their governments’ resistance to justice. The very state of Washington, home of the Seattle federal court that sentenced me to prison for five years – specifically because of my legalization activities and supporting the marijuana movement with millions of dollars and millions of seeds – will have turned the world of prohibition upside down overnight by making I-502 the law, by making marijuana legal for the first time anywhere on earth. And my own prosecutor, who later realized marijuana prohibition is a failure, is working for legalization and campaigning against prohibition with the I-502 campaign. Our movement gains allies every day. I’ll be locked down in my cell at 7:45pm Washington state (Pacific) time on Tuesday, November 6th. I won’t have heard any results by then, I won’t know if history was made until I get out of my cell at 6:00am sharp Wednesday morning and check my email from Jodie to read what transpired. I pray that Wednesday, November 7th is going to be my favorite Wednesday of my entire life – the day when legalization became more than just a 32-year dream of mine. The day I awoke and the world really changed.